Youtube video available from the Hifideluxe Munich 2016. 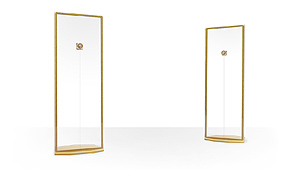 Published by the platform AV Showrooms. Article in the english stereophile about the AXJET horn loudspeaker by Fred Davis, which is equipped with the AER BD 2 B (MD 2 B). 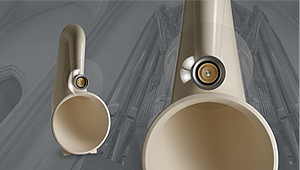 It is a review of the front and backloaded horn with the Audiovolver Room Correction System from Paul Messenger. Article on the high-end do-it-yourself system built by Mr. W. from E. published in HiFi Tunes’ equipment book in 2008. Mr. E. has equipped his front-loaded horns with an AER driver, and there is hardly anything left that makes you think of the usual do-it-yourself concepts. 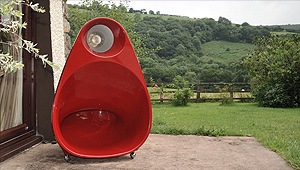 Article on the Rawi Sonic Ecolution 1 satellite/subwoofer system published in 2008 by Image HiFi. The satellites feature AER full range drivers with a transmission line, whilst the AER studio bass has been installed in the subwoofer. Article on the Stereofonie Erda two-way dipole speaker published in HiFi Tunes’s speaker book. 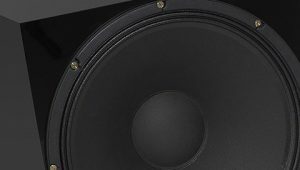 The test report’s motto: ‘Monster bass and extreme full range drivers jointly go about the music.’ That is what happens when a 46 cm JBL subwoofer driver and a 20 cm AER full range driver meet. 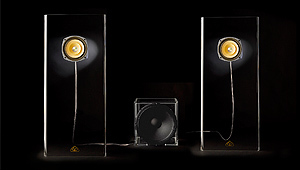 Article about the Lamhorn 1.8 loudspeaker by RL Acoustique in the onlinemagazin sixmoons. The backloaded horn is powered by AER driver and has also been developed by Robert Lamarre. Article on the Ayon Raptor published in LP. The Ayon Raptor is a two-way box equipped with AER full range drivers and two bass drivers taking over from 150 Hz in the low-frequency range. Thanks to the low-frequency separation, the broadband point source is maintained. Thus, the speaker basically creates a self-contained FAST system. 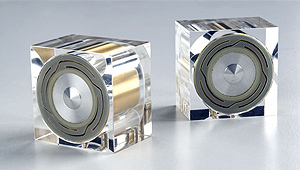 In 2001, the Image HiFi magazine tested the legendary Audiovector in the Opera Audio version. It is the first time for the Audiovector to be listened to with AER speakers. Each box uses two of them.